The first day of the Roland Garros qualification saw a number of seeds crash out whilst the top three seeds made their way into the second round. After five long months and five Masters 1000 tournaments, the second Grand Slam of the calendar event is almost upon us - Roland Garros. But first, qualification. With less than a week till the biggest clay-court event of the season, 128 players from around the globe vie for just 16 main draw spots. 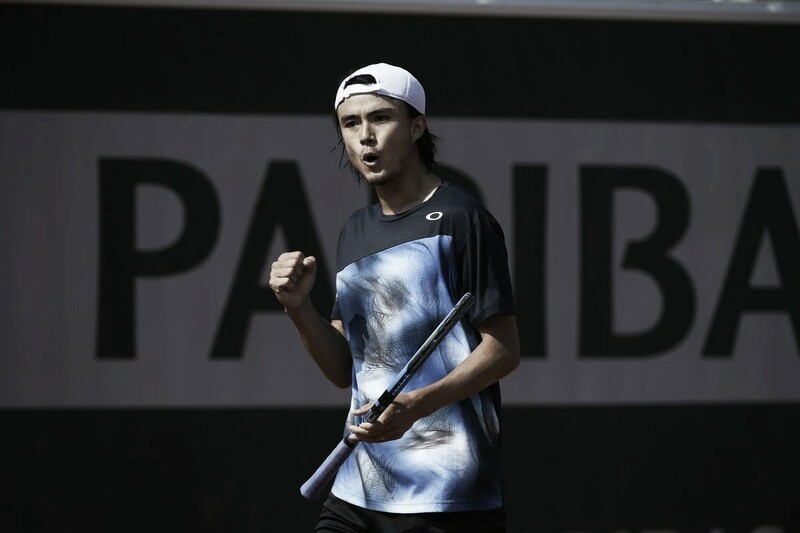 Top seed Taro Daniel opened up with a three-set win over Victor Estrella Burgos. Both players exchanged early breaks before Daniel broke in the seventh game to then close out the set. Estrella Burgos saved three early break points in the second and broke in the tenth game to level the match. The 25-year-old upped his game and broke three times to advance 6-4, 4-6, 6-0. He will now face Denis Novak who lost just three games to Evan King of USA. Belarussian Ilya Ivashka defeated Portugal's Joao Domingues in a tight two-set win 7-5, 7-5. The 24-year-old saved six break points in the third game and then broke in the 12th game to love to take the opening set. The second set remained on serve until back-to-back breaks occurred in the eighth and ninth game. However, the second seed got the crucial break in the 12th game on his second match point to advance. Rubem Bemelmans booked his spot in the second round with a three-set win over Ugo Humbert. The Belgique broke to start the match but lost serve in the fourth game only to regain his break a game later before closing out the set. The second remained on serve with five break points on offer. Humbert saved two match points and took his only set point to level the match. There was only one break in the final set which went the way of Bemelmans who progressed a game later 6-4, 6-7(6), 6-3. 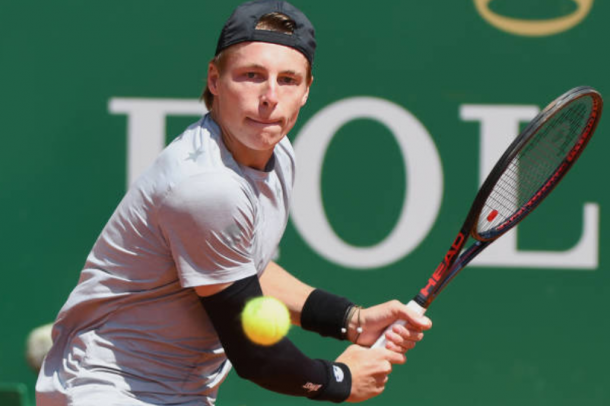 Fifth seed Thiago Monteiro exited Roland Garros at the hands of the talented 19-year-old Norweigan Casper Ruud 6-3, 6-3. Ruud lost serve in the opening game only to break twice in the fourth and sixth game to seal the opener. He then broke twice more in the second set to send the Brazilian packing. 11th seed Tim Smyczek lost at the hands of the young Spaniard Jaume Munar 6-3, 7-5. The 21-year-old broke once in the first set at 4-2 and just three games later served for the set lead. The second began with three straight breaks as Munar lead 2-1. The American fought back to level at 3-3 but the Spaniard got the crucial break at 6-5 and booked his place in the next round. The most noticeable seed to exit was Donald Young. 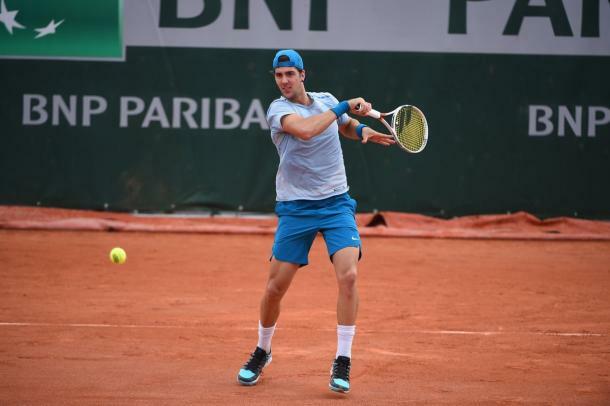 Having made the third round previously, the 19th seed lost to wildcard Alexandre Muller. The 21-year-old who was given a main draw wildcard last year won the opener via a tiebreaker. Though he lost serve at 1-2 in the second, he regained his break before breaking twice more to send the former world number 38 crashing out. Other seeds to crash out on day one of qualification were (4) Gerald Melzer, (8) Adrian Menendez-Maceiras, (12) Ramkumar Ramanathan, (16) Yannick Maden, (21) Quentin Halys, (27) Alexander Bublik and, (29) Sebastian Ofner. Australian Thanasi Kokkinakis, who has previously been in round three came from a set behind against wildcard Jaimee Floyd Angele to win 1-6, 6-3, 6-1 in just under two hours. He'll now go up against Estonian and 24th seed Jurgen Zopp. Another former third rounder in Paris Santiago Giraldo used his protected ranking to enter qualification. He needed just over an hour to get past the eighth-seeded Spaniard Adrian Menendez-Maceiras 6-2, 6-4. He broke twice in the first set and once in the second. Tenth seed and former world number 24 Martin Klizan began his qualification campaign against Sumit Nagal. With a third-round performance under his belt from 2014, he came from a set down to defeat India's Nagal 4-6, 6-4, 6-1. 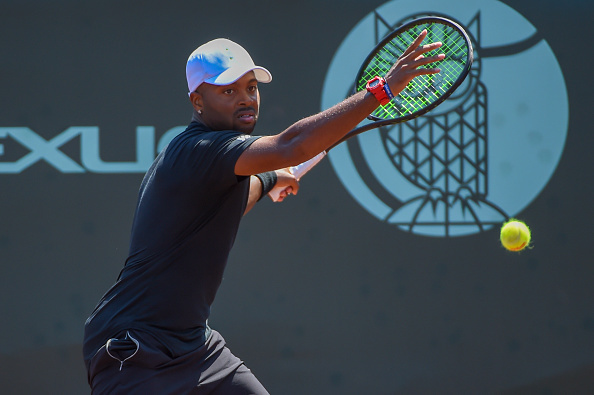 More results saw Australian Bernard Tomic come through Darian King 7-6(4), 6-0, Felix Auger Aliassime winning 6-4, 6-3 over Lloyd Harris and, veteran Jurgen Melzer beating Gleb Sakharov 6-3, 4-6, 6-1. Sergiy Stakhovky, the 18th seed also came through Egor Gerasimov 6-3, 1-6, 7-6(4).